TSB Author Doug Payne’s Streak of Excitement: A Wedding, a New Book, Rolex Kentucky, and Saumur CCI3*! TSB author and top event rider Doug Payne has had an intense and exciting start to the year! 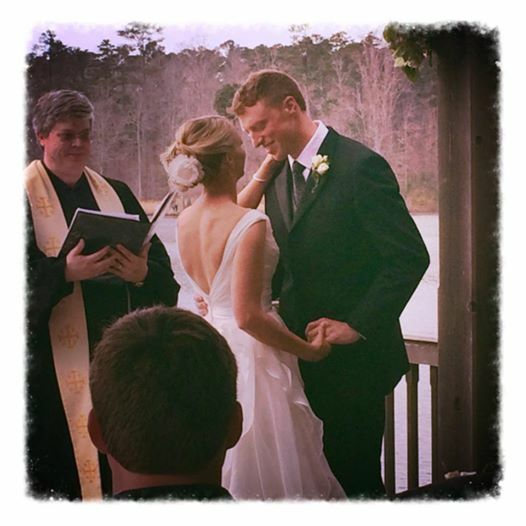 Doug kicked off 2014 with nothing less than nuptials: He wed Jessica Hampf in March. One celebration followed the other, with his fantastic new book released in early April. THE RIDING HORSE REPAIR MANUAL is already receiving glowing reviews, and we’re hoping that Doug’s insightful (and fully tested!) advice helps all those riders out there with four-legged “problem children.” Check out the fab Horse Junkies United review below for more about Doug’s book! Next up: Doug and Crown Talisman—the 2003 Holsteiner/Thoroughbred gelding he owns with Larry and Amelia Ross—are headed for the Rolex Kentucky Three-Day Event. Rolex runs Thursday, April 24, through Sunday, April 27, 2014, at the Kentucky Horse Park in Lexington. And Doug and “Tali” were one of two horse-and-rider combinations awarded Land Rover Competition Grants to compete at the Saumur CCI3* in Saumur, France, May 22 through May 25, 2014. So who is this “Tali” horse that Doug has taken to the top of international eventing competition? “Tali stands 17.1 hands tall and is a striking, dark bay…just about the perfect physical specimen and the most talented horse I’ve ever had the pleasure of riding in dressage. Not only is he good there, but he’s an exceptionally good, brave jumper as well. “Tali didn’t have a malicious bone in his body, but he was a bit of a rogue. The first day I rode him I just walked and picked up the trot for a short while. I knew from longeing him and from what I’d been told that he was athletic, but someone can tell you that all day long and it just doesn’t seem to sink in until you experience it firsthand. My introduction to Tali came in the form of noise: I’m still not sure what it was but some loud sharp bang in the background sent us into the air. Unlike any horse I’ve ever ridden, he could ‘levitate’ himself on a whim. Not a buck or rear, just all four feet off the ground at once, without warning. It took me a while to understand what was happening. You can read the full review on Horse Junkies United by CLICKING HERE. Doug will be signing copies of THE RIDING HORSE REPAIR MANUAL at the Practical Horseman and Bit of Britain tents at the 2014 Rolex Kentucky Three-Day Event. Watch the TSB Facebook page and follow TSB on Twitter for times and locations to be posted next week. Not going to Rolex? Doug’s book is available to order from the TSB online bookstore, where shipping in the US is FREE. CLICK HERE TO ORDER NOW. Follow TSB on Facebook for signing times and locations at the Rolex Kentucky Three-Day Event. Click the image above to follow TSB.